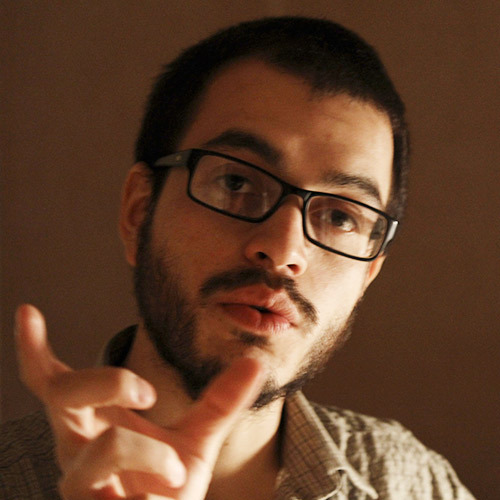 Daniel Mejía was born in Bogotá, where he studied Filmmaking at the Unitec University and started building up his career in between advertising and film, working in several short films, feature films and television commercials. In 2008, he moved to Italy to study Film Directing at the Centro Sperimentale di Cinematografia in Rome, where he had the chance to participate in several feature films. Daniel has directed several short films, which have been well received by both the jury and the audience in various festivals around the world. In 2009, he took part in the Buenos Aires Talent Campus and, once back in Colombia, started working as a publicity director. Daniel is currently developing his debut feature film, I’m fierce, which was awarded a script development grant in 2015 by Colombia’s Film Development Fund. I’m fierce (co-written with Diego Cañizal) — I’m fierce is a clandestine love affair fable between a donkey and a beautiful mare in the delirious Colombian battlefields.